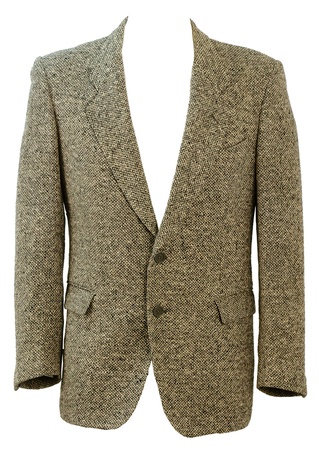 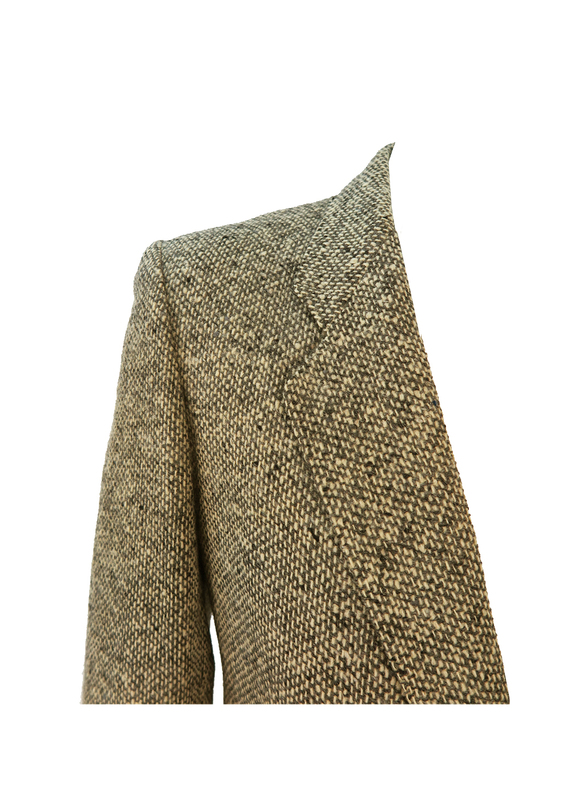 Blazer jacket in a warm grey and cream mottled tweed. 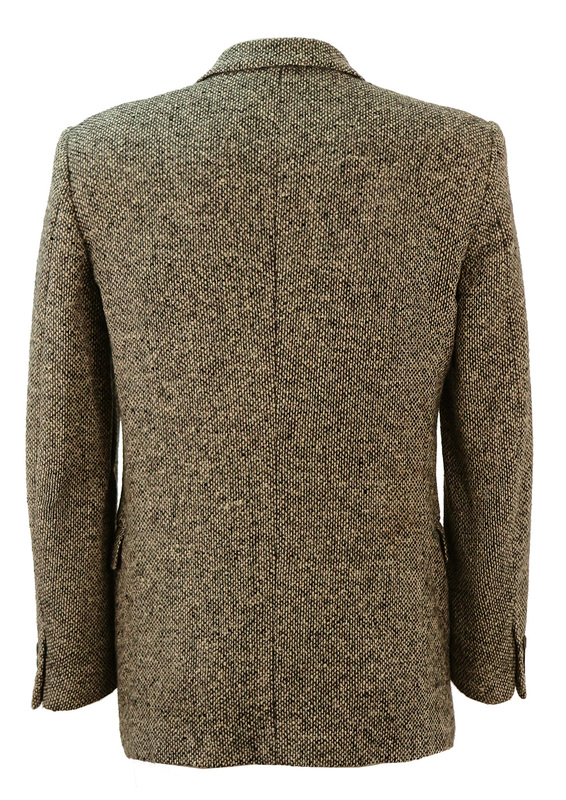 Although there is no fabric label, the jacket has a woollen feel to it and is lined in a satin-like grey fabric. In the absence of a sizing label we have sized the jacket between a size S and M. Please refer to our measurements for further sizing guidance.